A retro look that has come back in recent years the classic rugby shirt gets a modern face lift. The Adidas Originals Winchell Rugby Shirt comes in a classic, slightly oversized fit with long sleeves and a three button covered placket. 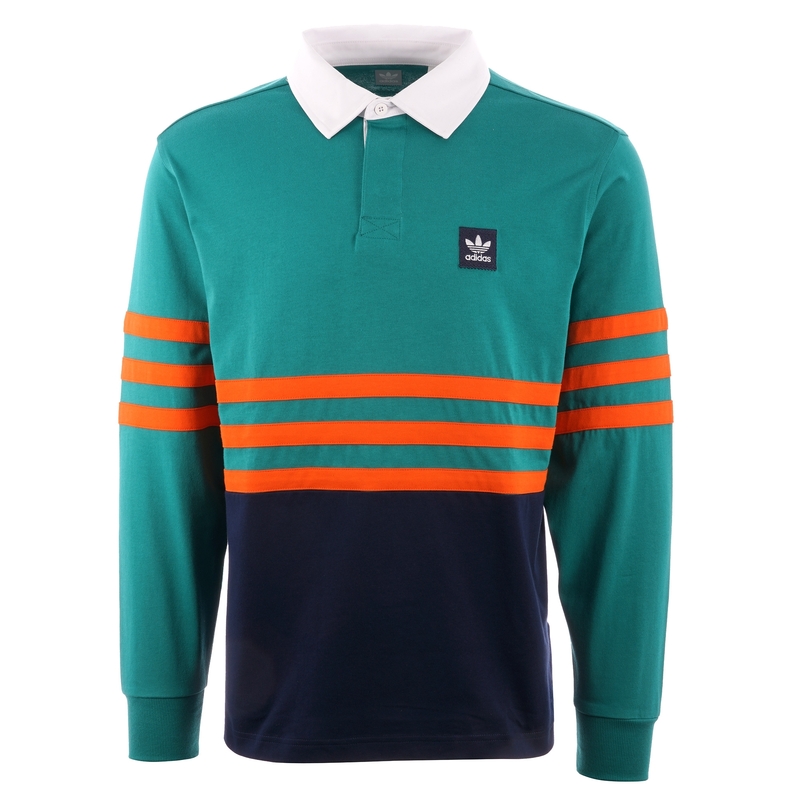 It comes with ribbed cuffs and a contrasting colour block design with the classic three stripe pattern throughout. The shirt has been finished off with an embroidered Adidas Trefoil Logo.